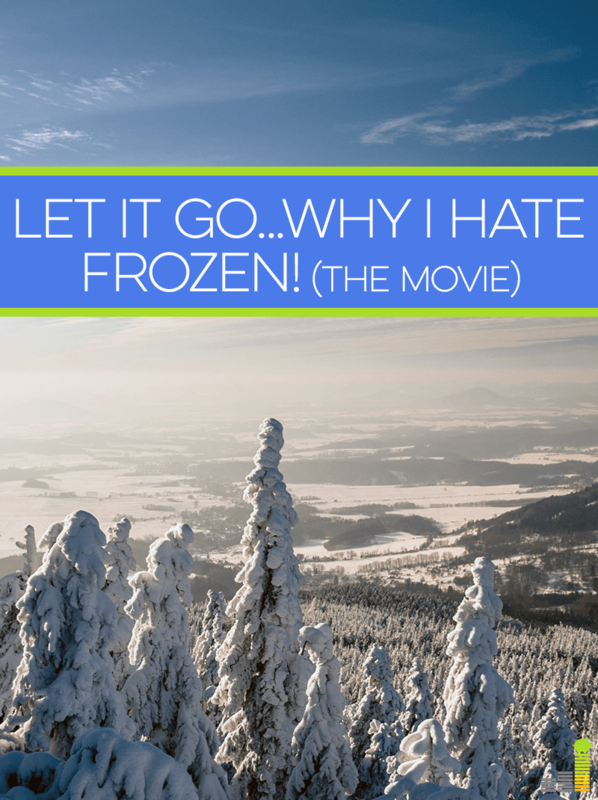 Let it Go…Why I Hate Frozen! First there was Dora…and with her show a new hatred was kindled in my heart. Then there was The Wonder Pets…I wished unholy things on those make believe animals with beedy, little eyes. There was a brief flirting with Barney…that tall freak of a purple dinosaur couldn’t go away soon enough. A blue dog tried to make residence in our house…but he FINALLY got the clue. My Little Ponies made a brief appearance, but ended in a debate between my daughter and I as to whether or not they were true horses. THEN…THEN…there was Frozen…strange that a show about ice should kindle a firestorm of hatred in me, the likes of which I have never known before and likely won’t see again. I apologize as this has absolutely nothing to do with money or personal finance, but is just something I have to get off my chest! I know the picture of two of my wonderful kiddos at the top of the screen may make it seem like I’m a horrible parent or don’t love my kids. It’s quite the contrary in fact, I love them more than life itself. However, there is only so much a person can take. Well, my lovely wife took the kiddos to see it there a few months back on a Friday afternoon. I loved the thought as it meant I got a quiet house for a few hours and could really get some solid writing done. Little did I know that while I was pounding away at my laptop my entire, yes my entire family, became Frozen fiends. They came home singing the song many of us parents have gotten sick of: “Let it Go.” I admit it, the first 500 5,000 times I heard the song I thought it was cute, in a cheesy Disney way. But then, something changed. It wasn’t just the two oldest ones singing it but Mom was singing it too. Then, our youngest (JP) who is just starting to be able to talk fairly well for his age started exclaiming “Et it Go Momma, Et it Go Momma!! !” whenever we were out driving somewhere. While I really do love his darling little voice, the request is unending. The final nail in the coffin was Grandma. What grandmother doesn’t like to buy presents…err cough cough…crap cough cough for their grandkids? I get it. But, it’s unending! 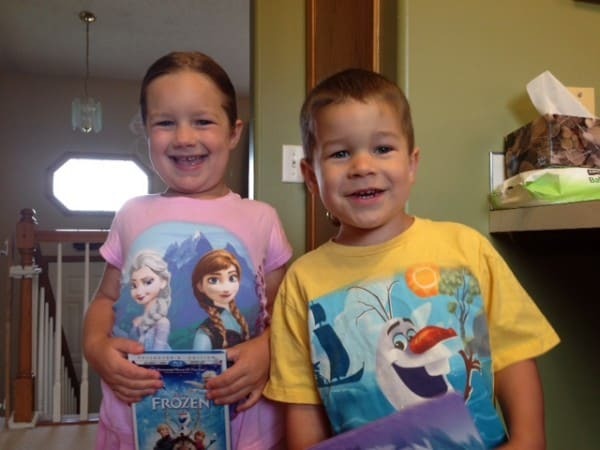 First it was the Frozen DVD, then it was Anna/Elsa and Olaf t-shirts, then it was Frozen plates and Frozen napkins and Frozen characters and Frozen dresses. I just can’t take it anymore! Simply put, I’ve drowned in a flood of Frozen with the worst of it being the songs. It’s amazing as a Dad who works from home that lines from Let it Go or The First Time in Forever haven’t ended up in copy for clients. Seeing as Frozen has become the highest grossing animated film in history and the crazy hoopla that has been created around the movie, I fear that my hatred of Frozen will only continue to grow as I’m sure sequels and other stuff will be hitting the market at some point in the not too distant future. Do you hate Frozen? How many times have you or your kids seen Frozen? How many pieces of Frozen paraphernalia do you have in your house? I have never seen this movie and **** will freeze over before I do. That “Let It Go” was nominated for an Oscar puts one more nail in the coffin of what years ago were beautiful soundtracks and Oscar-nominated songs. Edina Menzel? I guess loudness counts for a lot today. Because Hollywood now makes everything it can into a franchise, I foresee sequels. Unfrozen. Melting. Defrosted. I`ll go see “Frozen”-when hell freezes over, not a day before. I absolutely HATE “Let it Go”. I LOATH THIS MOVIE!!! I haven’t seen it either. It went exactly as you describe including the grandparents. Sippy cups, singing dolls, CD’s, DVD’s, blankets, shirts, ………….! You have a great idea with the stock though. I don’t know if your Catholic, if you are I’m sure we’re freeing a nation from purgatory!